Has Social Media Forever Changed the Exchange of Christmas Cards? Has Social Media Forever Changed The Tradition of Sending Christmas Cards? The days before Christmas and my mailbox is filled with Christmas cards. Having moved frequently over the years, I have always looked forward to receiving greetings from loved ones near and far. Yet, in recent years a new trend has emerged. Instead of handwritten cards, I receive more photo cards every year. Christmas cards used to be an expression of one’s sentiment of the season. Cards featured art, humor or graphics that conveyed a message of their own. Today, the personalized Christmas card has evolved into what more closely resembles a Facebook post, image Tweet or direct mail piece (and believe me after being in marketing for over 23 years I know one when I see one). As prolific as they are, I am sure you’ve received at least one of these yourself this year. Are Handwritten Christmas Cards History? Just as busy as everyone else, I always take the time to hand-write Christmas cards. The number has decreased over the years from 80 to around 40, and I may only write a couple of lines. 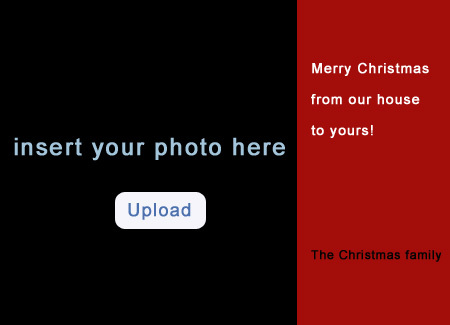 However, I do include the name(s) of those I am sending the greeting to, along with a brief, heartfelt message. Over the years, I may have included a photo, and for some even inserted a longer, more personal note. Every year it seems more Christmas cards are replaced with postcards with photos of the kids. Parents rarely include themselves on the cards. And, the cards are not accompanied by a single hand-written character. As much as I love seeing children of friends and family members documented in photo cards each year. It is the relationship with the parents that I hold dear and will cherish long after the kids have grown up and moved away. (What will they send then?!) Perhaps they will become more like those who have replaced Christmas cards with email, or have stopped sending cards altogether. It might as well be a direct mail marketing piece. These cards come in printed return labels with laser-printed address labels, and convey one simple line like “Have a Rockin’ Christmas” or ‘Merry Christmas from our house to yours”. These communications hint of obligation more than love and remembrance during the one time of year our culture has us collectively thinking about what is truly important in life. Has Social Media Taken the Place of Social Correspondence? Have we forever lost the art of sending Christmas greetings? I have even received wedding invitations in the form of photo cards. People have become quite accustomed to posting “Happy Birthday”, “Merry Christmas”, and “Thank you” on social media platforms. There is nothing wrong with that. I guess I still believe that there is something special about sending and receiving Christmas Cards. I love traditions. I also love social media. Maybe I am a little old fashioned. But, I’d much rather receive a note than a mass-produced mailing. Heck, I’d even settle for a note ON the postcard. (if you’ve ever received one of these haven’t you also found yourself flipping it over only to be disappointed to only see the photo stamp? I ask you…Do you think social media has forever erased the art of sending personalized notes to friends and family once a year?